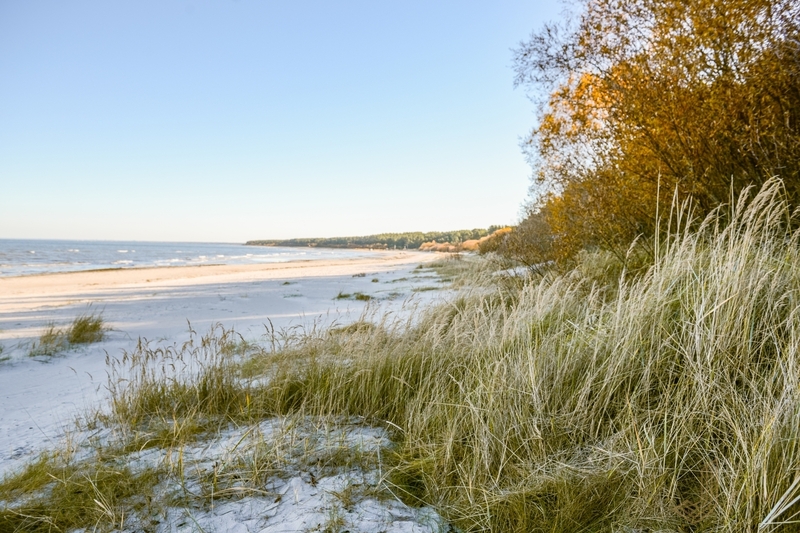 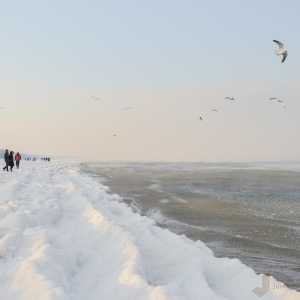 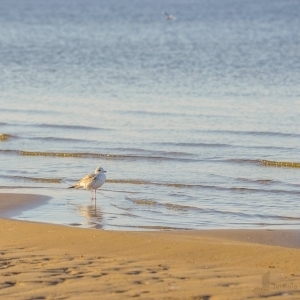 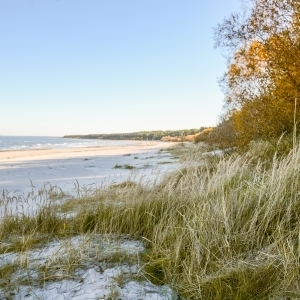 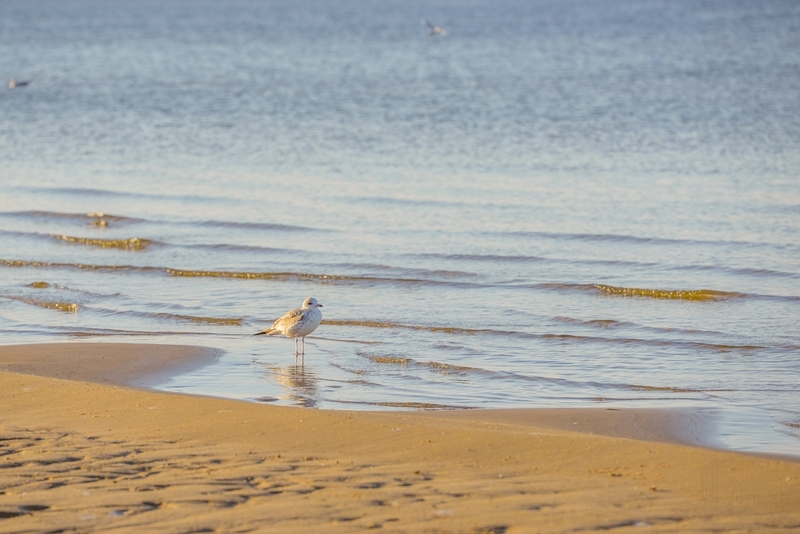 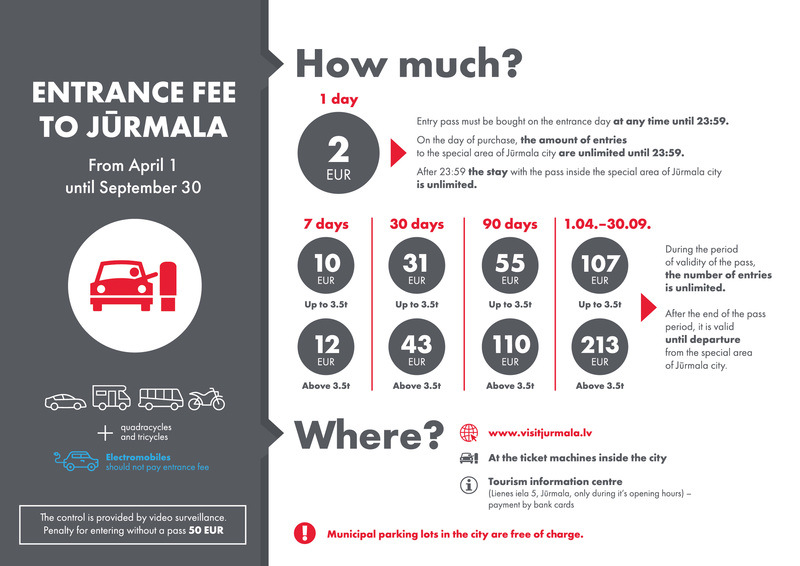 Jūrmala’s beach is the perfect stage for witnessing both the beauty and strength of nature. 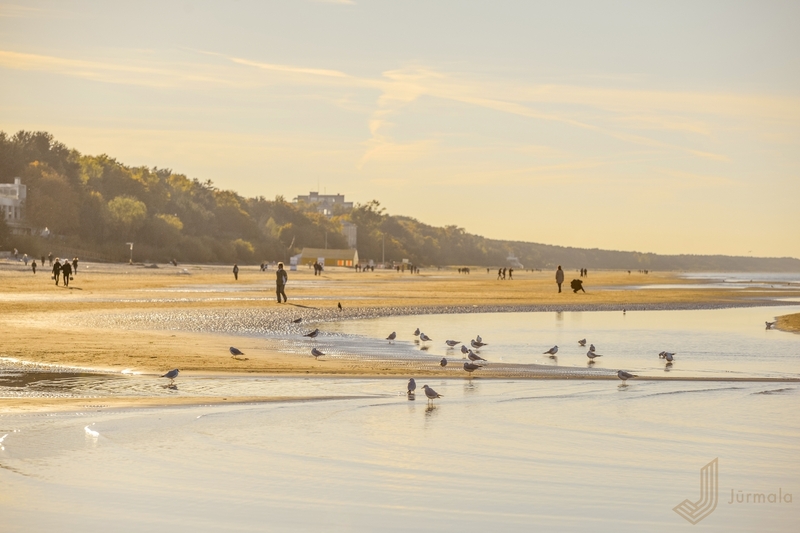 In the daytime, the sun heats, cools, lights up and shades the broad expanses of sand and water, while in the evenings it paints the sky in a wonderful palette of colour. 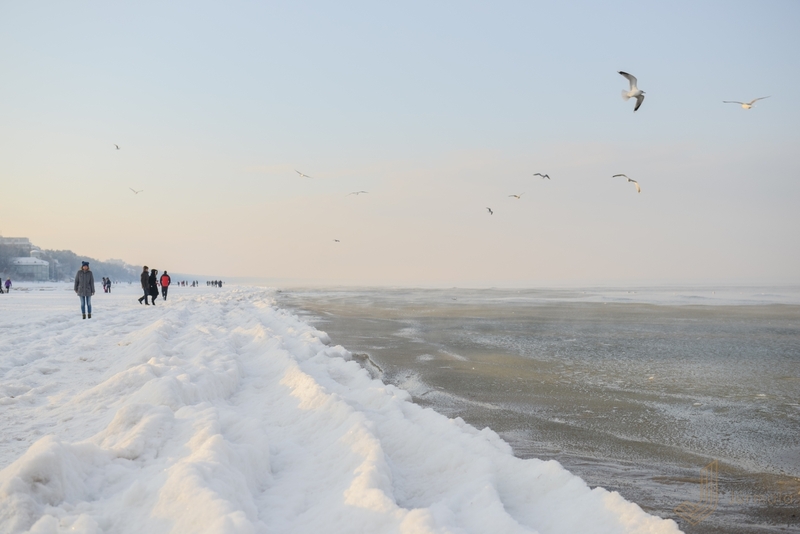 The wind etches ever-changing designs on the ﬁne quartz sand and also inﬂuences the temperament of the sea, from calm and mirror-like waters before sunset to angry storms, from the cover of ice in winter to springtime’s thaw, when the sea dumps its mask of ice onto the shore.